Keifei Pharma Co., Ltd was formed in 2005. Known as a distinguished exporter of our high quality Pharmaceutical formulations. Keifei merge with Healthy Path Pharma Co Ltd in 2016. With their rich scientific talent and experience, Keifei offer a superior range of Human medicine prescriptions and OTC formulation in Pharmaceutical dosage form under World Health Organization GMP Standards. Products like, External Preparations, Tablets, Capsules, Dry Powder for injections and Liquid for injections. 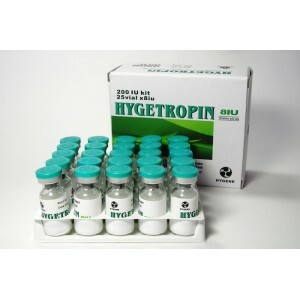 Hygetropin (Human Growth Hormone Injections) 10IU x 1amp Hygetropin is any form of synthetically created Human Growth Hormone (hGH). Synthetic HGH is simply a man-made version of the naturally pr..